ICICI Bank has instituted an independent inquiry into allegations raised by an whistleblower against CEO Chanda Kochhar of having given out huge loans to certain business groups who in return extended benefits to companies run by her husband and brother-in-law. 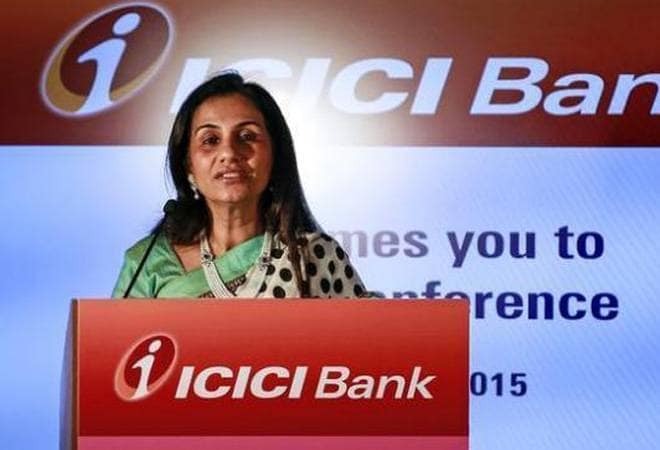 The board of directors of the bank who had earlier given the CEO a clean chit, ordered the inquiry on Tuesday, on a complaint by an anonymous whistleblower against Kochhar, ICICI Bank said in a regulatory filing on Wednesday. "The inquiry headed by an independent and credible person will examine and enquire into an additional anonymous whistleblower complaint," it said. The scope of the inquiry would be comprehensive and include all relevant matters arising out of and in course of examination of the facts and wherever warranted, use of forensics/email reviews and recording of statements of relevant personnel, it added. The whistleblower has alleged that the bank's MD and CEO had not adhered to provisions relating to code of conduct of the bank and legal and regulatory provisions relating to conflict of interest over a period of time and also alleged quid pro quo in the course of Kochhar's work in dealing with certain customers/borrowers of the bank. Interestingly in April, the board had expressed full confidence in Kochhar and ruled out any quid pro quo as alleged with regard to certain loans given to Videocon group. The regulator filing, which came after the stock markets closed, further said the enquiry will cover all connected matters in the course of investigations to bring the matter to a final close. In keeping with the whistleblower policy of the bank, its board mandated the audit committee to appoint an independent and credible person to head the enquiry and also define the terms of reference, including timeline. The CBI is already investigating allegations that the ICICI Bank extended loans to the tune of Rs 4,000 crore to Venugopal Dhootcontrolled Videocon Group which as a quid pro quo pumped Rs 400 crore into NuPower Renewables, a firm owned by Chanda's husband Deepak Kochhar. As much as Rs 3,250 crore of the loan to the Videocon group has turned bad. There are also allegations that NuPower got investments of Rs 325 crore from Mauritius-based Firstland Holdings, a company owned by Nishant Kanodia, son-in-law of Essar Group co-founder Ravi Ruia. The investments from Ruia's son-in-law's firm into NuPower started in December 2010. Interestingly, ICICI Bank was lead banker in a consortium of Indian banks that extended a $530 million loan to Essar Steel Minnesota LLC on December 29, 2010. This loan was later classified as a non-performing asset NPA. The RBI in its 2016 investigation in the matter had raised questions over the ownership of the Mauritiusbased entity, First Land Holding, which had invested Rs 325 crore in NuPower. Also, there was no clarity over the alleged Rs 64-crore loan (unsecured fully convertible debentures) given to NuPower by Supreme Energy, which was 99.99 per cent owned by Videocon chief Venugopal Dhoot at that time. While Chanda Kochhar sat on the credit committee that approved the loan to Videocon, there are allegations of conflict of interest in her husband's brother, Singaporebased Rajiv Kochhar, extending debt-restructuring consultancy on defaulting corporate borrowers from ICICI, including Videocon. Interestingly, the board of ICICI Bank expressed full faith in Chanda Kochhar, whose current tenure as CEO is set to end on March 31, 2019. It had reviewed credit approval processes and found them to be robust, according to a March 28 filing by the bank.